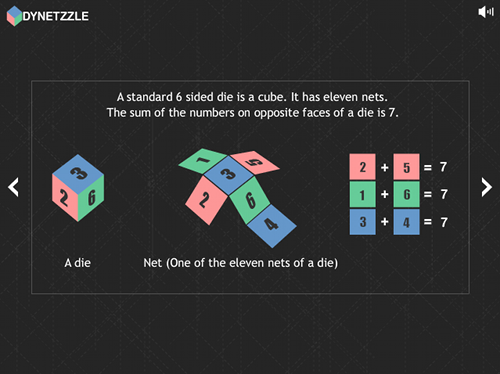 Description Dynetzzle is an original puzzle game. Player have to imagine dice from given nets to solve puzzles. Please read instructions in game.